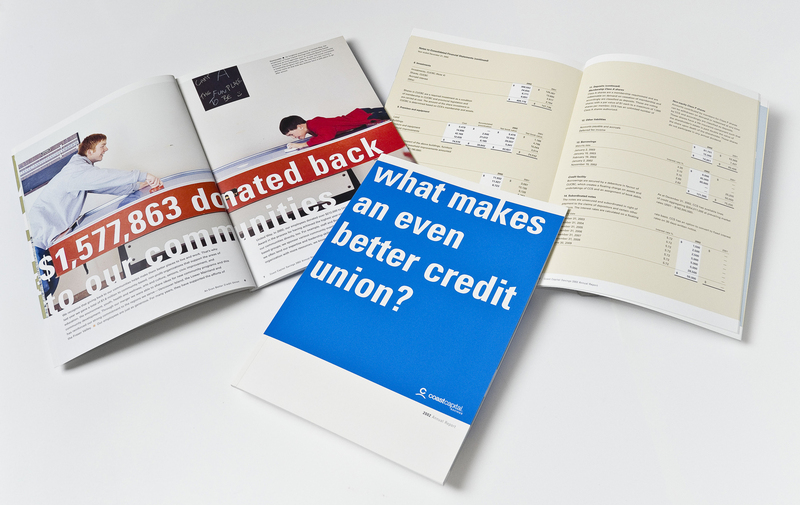 For the 2002 annual report we were asked to present a credit union that had gone through amalgamations with other credit unions over the past few years as being not only focused on the future, but also respecting the members who had built it. They also wanted to appeal to other credit unions as being a good group to join with as they respected existing cultures and staff. We accomplished this by presenting the facts, plain and simple, using members and staff who represented what had been done, and where their potential lay. The question “what makes an even better credit union” is left open ended, emphasizing that the final solution may change over time as they evolve and learn more. Creative Director: Jennifer Wah, Forwords Communication Inc.